This pouch has carrying capacity that belies its small size. Various possible configurations include treatments for traumatic bleeding, airway issues, pneumothorax and more. Full-area hook and loop back panel allows instant detachment from belt of pack for "throw and go" applications. 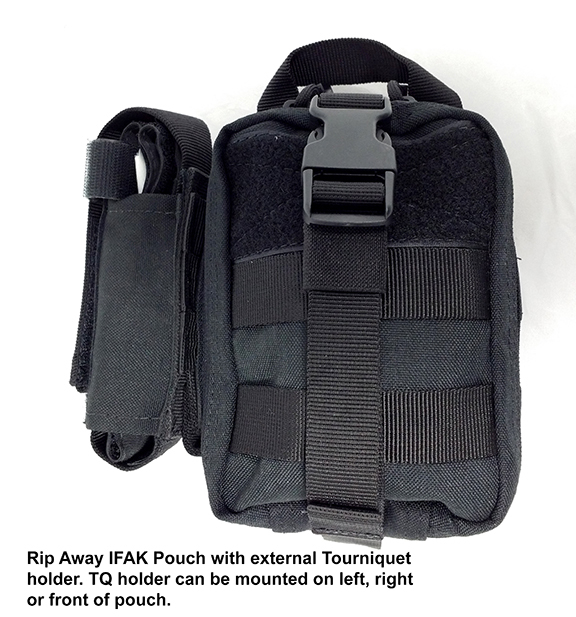 This is a good size pouch for a plate carrier or to attach to the outside of a Go-bag. Sturdy construction and heavy duty material. This is a great IFAK pouch. It's well-made and durable. 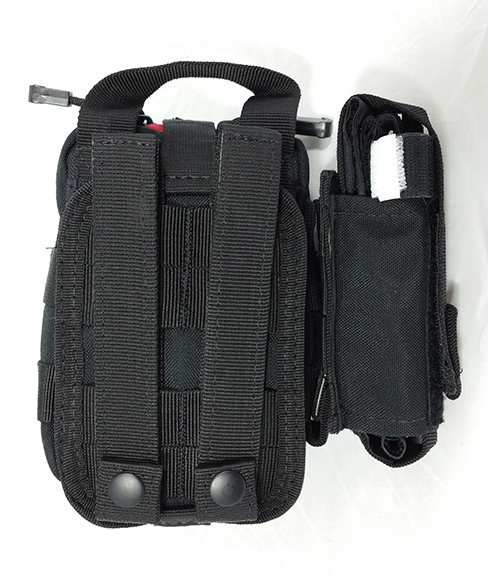 The rip-away design is excellent and it has very useful internal storage compartments and elastic straps to hold scissors, needle decompression, tourniquet, emergency bandages, etc. It also has external loops to attach an additional tourniquet holder or to hold scissors externally on either side.